The new job opening, pays up to $187,000 and is for NASA's one and only full-time planetary protection officer - a role established in 1967. The role is not only responsible for protecting alien worlds like Europa (an icy, ocean-hiding , and potentially habitable moon of Jupiter) from germs on human-launched spacecraft, but also defending the Earth from contamination by alien microbes. 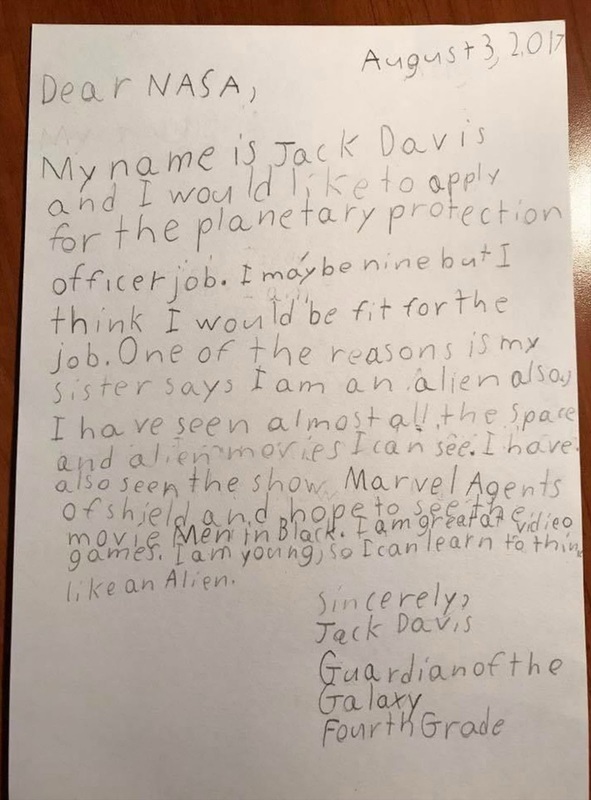 But enamored by the possibilities, Davis - a self-described "Guardian of the Galaxy" - summoned the courage to write and address a letter to NASA on Thursday. 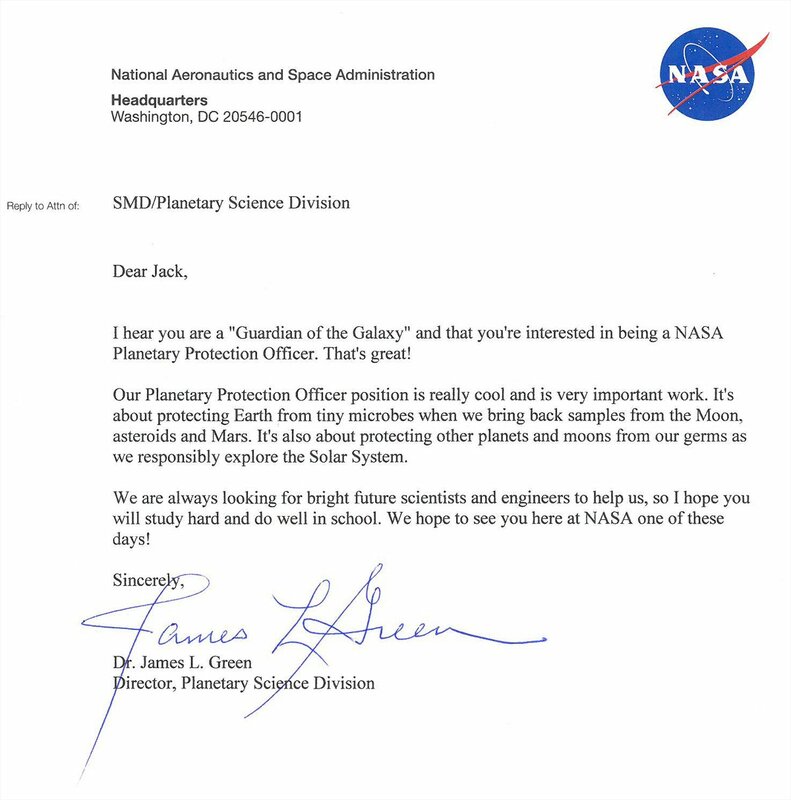 Jonathan Rall - NASA's planetary research director - also rang up Davis "to congratulate him on his interest in the position," NASA said in the release.